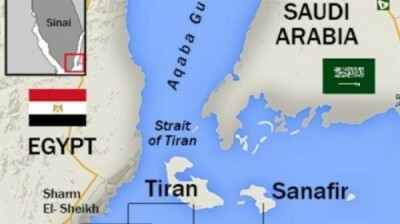 During the week of April 11 it was revealed that the Egyptian government of President Abdel Fattah al-Sisi is proposing to turn over the strategic islands of Tiran and Sanafir to Saudi Arabia, located at the exit of the Gulf of Aqaba. These islands have been under Egyptian administrative control since 1950 just two years after the founding of the State of Israel. This decision which is subject to approval by the Egyptian parliament has generated much debate and opposition inside the North African state. Al-Sisi was compelled to address the questions surrounding the ownership and administration of the two Red Sea islands in a nationally televised speech on April 14. In a speech delivered in front of political officials, intellectuals and journalists broadcast live on state television, Al-Sisi stressed that « We did not surrender our right, and we returned the right back to its people,” saying there are documents which prove the islands are Saudi. Many observers of Egyptian politics believe that the parliament is aligned with the al-Sisi government and will vote in favor of the measure. Recognizing the broad opposition to the announcement, the president has warned Egyptians not to demonstrate against the decision. Egyptian Prime Minister Sharif Ismail and Saudi Crown Prince Mohammed Bin Salman endorsed the agreement to change the maritime borders between their two countries during a visit by Saudi monarch King Salman Bin Abdulaziz to Egypt the week prior to the statements by al-Sisi. An article published in the Washington Post on April 13 reported that the decision by the Egyptian government was being supported by the State of Israel. The assessment of the writer, Ruth Eglash, indicated that the announced transfer of administrative control of the two islands illustrated the continuing cooperation between Tel Aviv and Riyadh in regard to the strategic interests of imperialism in the region. 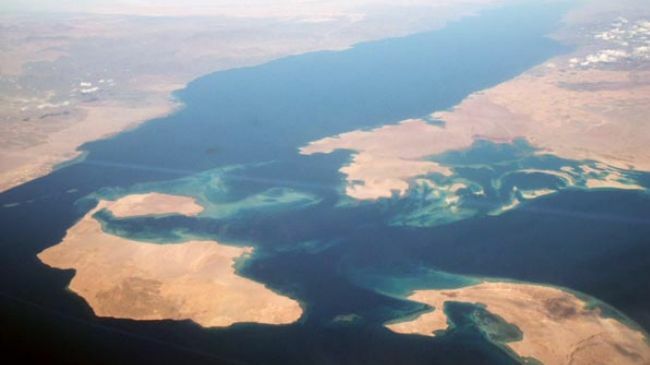 The islands are important in regard to the contested sovereignty and ownership of the Gulf of Aqaba, a major issue in international law for decades. The Gulf of Aqaba is located at the northern tip of the Red Sea, east of the Sinai Peninsula and west of the Arabian mainland. The coastline expands across four countries: Egypt, Israel, Jordan, and Saudi Arabia. The 1967 six day war (June 5-10)between Israel and the regional states of Egypt, Syria and Jordan, was prompted in part due to the exercise of sovereignty by the-then government of President Gamal Abdel Nasser who blockaded the Straits of Tiran preventing Israeli shipping from passing through the Gulf of Aqaba beginning on May 23. Tel Aviv later launched an attack against Egypt which was backed by the U.S. administration of then President Lyndon B. Johnson. In a speech to soldiers at an advanced Air Force headquarters in Sinai, President Nasser said any ships flying Israeli flags or transporting strategic materials would be forbidden to pass in and out of the Gulf past Sharm El Skeikh at the mouth of the Gulf. One week earlier on May 16, 1967, Nasser ordered the removal of the first United Nations Emergency Force (UNEF) from the Sinai. The UNEF had been established in the aftermath of the Suez Crisis of 1956 when the Egyptian government had nationalized the canal sparking the intervention of Egypt, France and Israel in a failed effort to overthrow Nasser. Nonetheless, after the death of Nasser in 1970 another war was fought in October 1973 when Egypt under President Anwar Sadat launched an attack in the Sinai to reclaim land captured by Israel in 1967. In the aftermath of the 1973 war another UNEF was deployed from October 1973 to July 1979. During this period Egypt and Syria were committed to the liberation of Palestine and the defense of regional states from Israeli aggression. The Soviet Union supported Egypt politically and militarily in both the 1967 and 1973 wars. Today Egypt’s military turned civilian regime is largely dependent upon economic and political support from Saudi Arabia and the United States. Washington supplies at least $1.3 billion in direct aid to the Egyptian government every year along with military equipment, advisors and intelligence sharing. Even with the uprising against former President Hosni Mubarak resulting in his toppling, the successor to Sadat after his 1981 assassination, three subsequent Egyptian governments have continued their reliance on assistance from Washington and its allies in the region including the State of Israel. 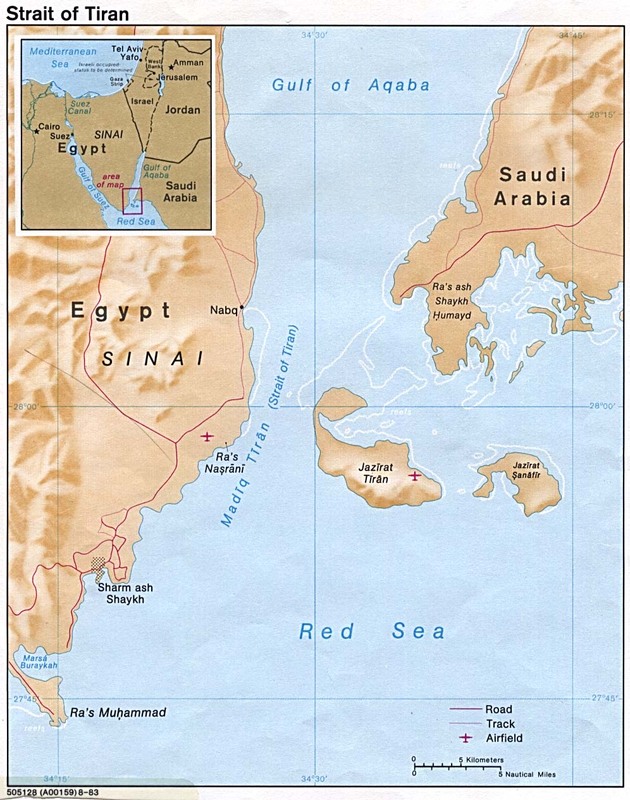 This Egyptian decision involving the plan to relinquish control over Sinafir and Tiran to Saudi Arabia indicates that the existing foreign policy imperatives of Washington and Riyadh take precedent over the liberation of Palestine and the genuine independence of states in North Africa and the Middle East. Within the military sphere the alliance is clearly illustrated through Egypt’s cooperation under Saudi and Gulf Cooperation Council (GCC) leadership in the yearlong war against the people of Yemen which has resulted in the deaths of at least 10,000 people and the displacement of millions of others.